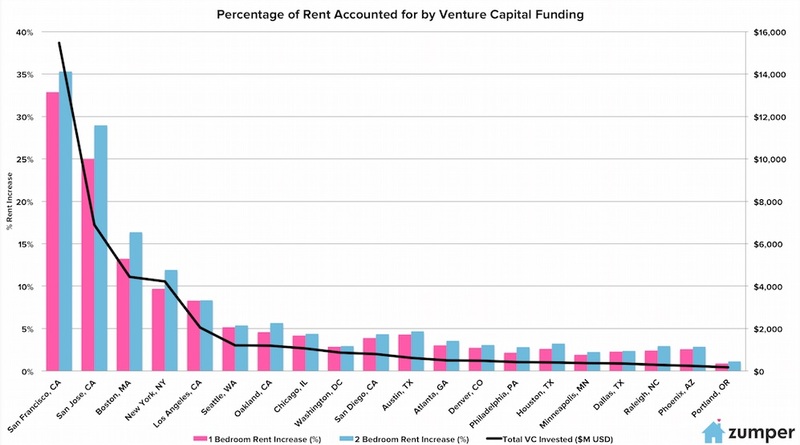 …for every $1 billion in venture capital injected into a local economy, one-bedroom rents will increase $69 per month, and two-bedroom rents will increase $99 per month. 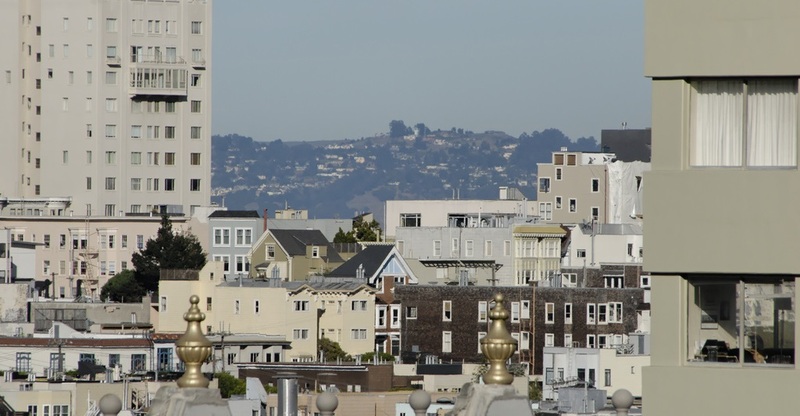 Using that equation, the Zumper report suggests economic stimulation from venture capital investment pushed up the rental rate for a one-bedroom apartment in San Francisco by 33 percent or $1,069 per month in 2014. For a two-bedroom, rates were driven up 35 percent or $1,533 per month. Of course San Francisco isn’t the only California city attracting VC dollars. 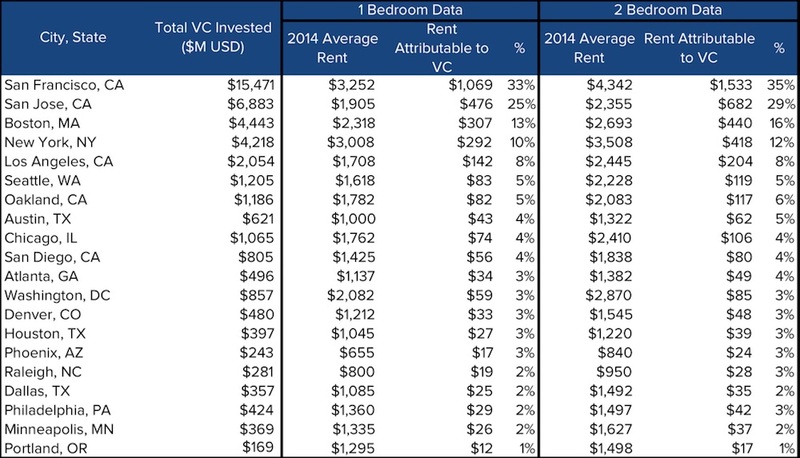 In fact, five of the top ten cities for venture capitalist investment in 2014 were in the Golden State. San Jose was number two on the list with $6.883 billion spent by investors, LA was number five with $2.054 billion, Oakland was seventh with $1.186 billion and San Diego rounded out the top 10 with $805 million in investment. In their analysis of the impact of VC funds on a city’s housing affordability, Zumper considered population, income, vacancy rates, unemployment numbers, rent control and median home values. However, the report left out other intangibles that contribute to a city’s cost of living, such as weather and aesthetics. For more, the report can be read in its entirety here.